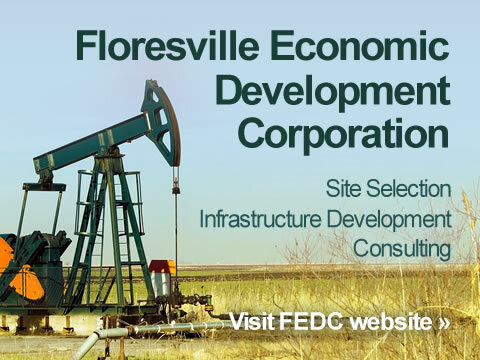 The Floresville Economic Development Corporation (FEDC) provides local, regional and retail trade information and services to new and existing businesses; infrastructure development; and permanent job creation assistance. The FEDC also participates in community and regional promotion and economic development projects to grow and expand the economy and tax base. FEDC regular meetings are normally held the second Monday of each month at 6:30 pm at City Hall, located at 1120 D Street. The City Council is accepting applications from Floresville residents interested in serving on these city boards and committees: Floresville Economic Development Corporation (FEDC); 4A Corporation; Planning & Zoning Committee; and Convention, Tourist, and Visitor’s Advisory Board. © 2005-2019 City of Floresville. All rights reserved. City of Floresville is an equal opportunity provider, employer. Web design, development, and hosting by Drewa Designs.